Arriving at Borough Market just before noon, we saw people queuing up for a restaurant named Padella. So, naturally, we lined up too – if there are people lining up and waiting for the restaurant to open, it must be good, right?! 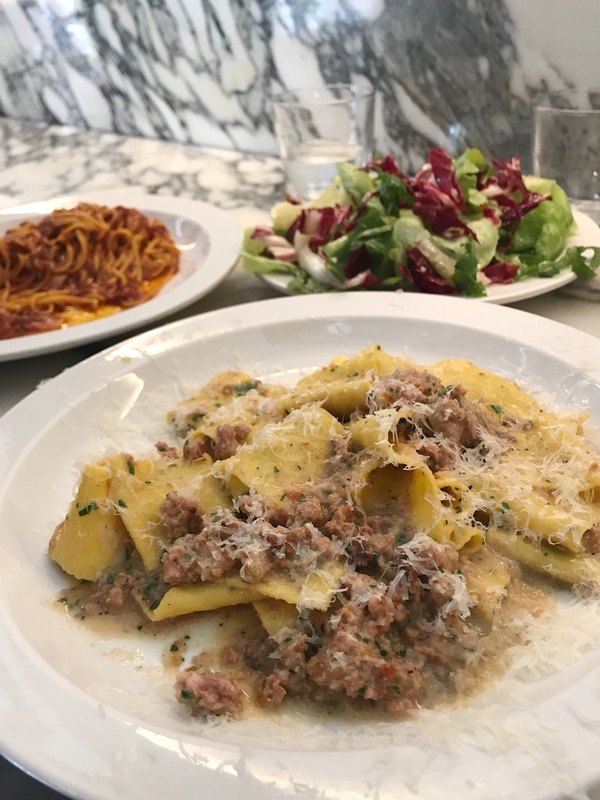 While waiting in line (and using the free wifi at Borough Market), we discovered that Padella is a fairly new, fresh Italian pasta boutique restaurant. It has won a ton of awards for offering fresh, high quality handmade food, cheap eats, and great value for money. Seems like my kind of place! Shortly after noon, we were the first batch of customers let into the restaurant. Most dishes range from £5 to £10 with a frequently changing menu. Portions are small so we ordered 3 pasta dishes and a salad between the two of us. We had the Radicchio, Butterleaf & Rocket Salad (£3.50), Tagliarini with Slow Cooked Tomato Sauce & Chiarentana Olive Oil (£6.50), Ravioli of Squash and Neal’s Yard Ricotta with Sage Butter (£8.50), and Pappardelle with Black Hampshire Sausage & Fennel Ragu (£9.50). All the pastas were saucy and flavourful, with generous sprinklings of herbs and parmesan. The salad seemed plain, but a good complement to carb-heavy pasta dishes. I enjoyed the ravioli dish the best – I love the texture of squash and ricotta stuffed in pasta and the buttery taste of the sage butter. I also liked the thick ribbons of pappardelle pasta paired with pork sausage crumbles. The Tagliarini with tomato sauce was more on the simple side, but a good tomato-based complement to the other creamier pastas we ordered. Everything is freshly prepared, you can see the busy kitchen team cooking the pasta and assembling the dishes. If you’re sitting at the counter, you’ll have the best view. Overall, Padella is a cheap (by London standards) and chic eatery to visit. To bring home a taste of the kitchen with you, you can also purchase the Trullo Cookbook (£25) from the higher-end sister restaurant of Padella. 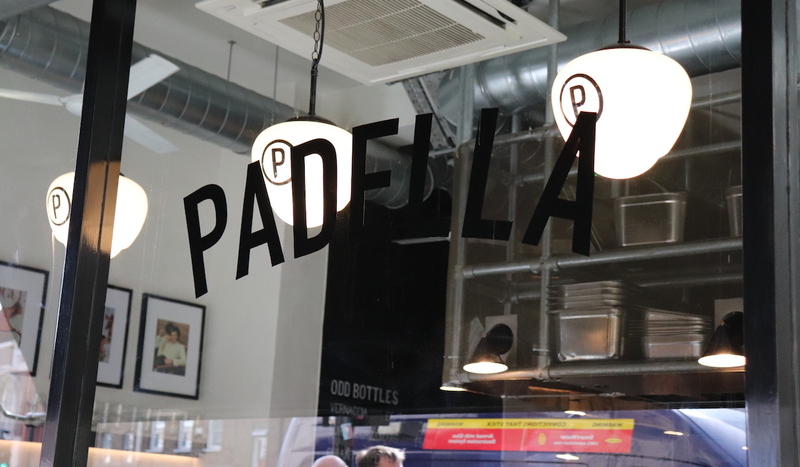 Padella is located at 6 Southwark Street at Borough Market in London, UK. For more information, visit: padella.co. To minimize wait time, show up to queue shortly before restaurant opening.